In my Second Age I was, by turns, an IT & Communications Engineer, HR Director and a senior manager and leader in the public sector at a time of significant organisational change. Latterly I was an independent management consultant and executive coach operating up to Board level, again in the context of change. I have also been involved in voluntary professional and community organisations for many years, in many roles. Personally I am 71, in good health, enjoy dancing, gardening and walking. I am a widower, a father and grandfather, and I enjoy spending time with the family, watching them all grow and develop. I am Chairman of the Bishops Cleeve U3A (2014) and a keen supporter of the Cotswold Link Network, as well as an active member of four subject groups. I have supported the creation of a new neighbouring U3A. I take a strategic view, shaping policy and practice with a clear eye on the wider context and purpose. I understand how teams and organisations, including voluntary organisations, tick: what enables them to succeed and to grow, and what impedes that. I also have a keen interest in the people involved, at all levels, and some skill in leadership. This enables me to bring the people along in successful, large scale organisational change. It is the people who will make it work, or not! I believe in a confident, successful, expanding University of the Third Age, delivering important benefits to society and to individuals drawn from an ever-growing proportion of the Third Age population. I see that this growth brings pressures, particularly in successful Regions like the South West. I believe that the key to resolving these pressures lies in developing and supporting the Local Networks and the Regional Teams so that they can support the member U3As and help them to help themselves. The challenge is to allow the independent, autonomous U3As to flourish and to replicate themselves, without detracting from the self-help ethos that is fundamental to who and what we are. Encouragement and support, not control and direction are key to our success. The task for the Third Age Trust and for the Regional Trustee is to provide the leadership, set the culture and offer the support to allow the U3As to deliver the benefits. I look forward, with your support, to playing my part in making that happen. I have a strong belief in the objects of U3A, its benefits to both community and individuals. I have experienced both first and second hand the advantages offered for friendship, learning new skills and socialising. I also believe that we save the NHS thousands each year by keeping our members physically and mentally active! 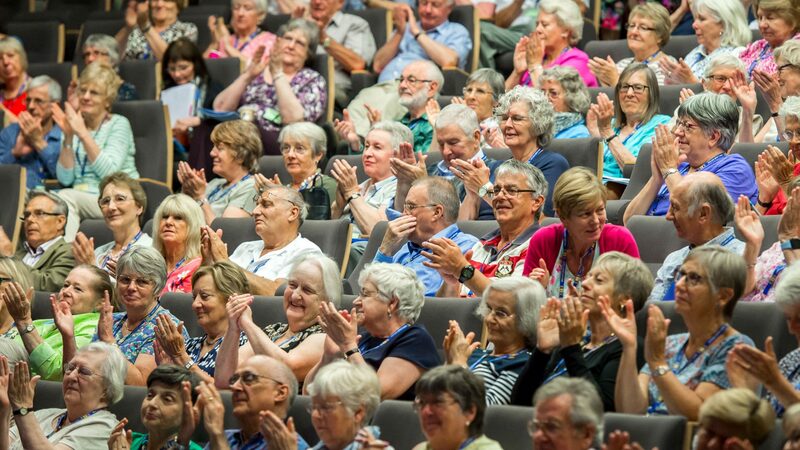 Within my own U3A I have been keen to learn about the wider picture of the organisation and have had a steep learning curve. I was vice chairman when our then chairman died suddenly. With the committee’s agreement I took up the chair and have spent the last two and a half years dealing with some challenging situations. A bonus has been contact with our link groups in meetings and visiting them ‘at home’. From that role I became a member of the regional team with Diana Holdsworth and reaped the benefits of support and encouragement gained from such a team. Our meetings have always been fruitful and I would want to build on its strong foundation. I know that members here in the far west often feel cut off from the bigger picture. I would want to cultivate a stronger sense of belonging to all groups and to encourage more participation within regional activities. I come from a background of teaching in the West Midlands in both mainstream and special needs schools where I was in close contact with families and professionals from multi-disciplinary agencies. Having retired early from teaching in Cornwall due to breast cancer I became involved with support for parents of children with special needs and offered training for them in assertiveness, research and communication skills under the auspices of WEA. I became Parent Partnership Officer for Cornwall LEA with responsibility for the whole county, and was involved at both regional and national levels in meetings to share experiences and learn from each other, thus improving good practice. I have always tried to be involved in the communities in which I live: in Worcestershire we formed a pressure group which achieved its aims via a Public Enquiry, and in Cornwall I served on our local Parish Council for four years becoming Vice Chairman. I also helped with a local group providing breakfasts for the homeless. I am part of our village Speed Watch team. I have three children who now each have children of their own and my family is very important to me. I enjoy singing and belong to our local choral society, and was a founder member of our U3A choir. I have fulfilled my ambition of sailing across the channel in my own boat. I participate in reading and sewing groups. I walk often and play croquet. My approach to the position would be, as in my professional life, to listen, try to understand and seek a way forward, always cognisant of trustees’ responsibilities. I am not averse to asking for help, and I know that I would be able to work well with the current regional team. Joining Sarum University of the Third Age was life changing for me. I was impressed at the number of possibilities for exploring interests I’d never had time for before retirement; and all this in a friendly, informal environment. I believe everyone no longer in full-time work should be aware of and have the opportunity to experience U3A. I complete my third 2-year term as chair of Sarum U3A in March 2018 and I see the role of regional trustee as a wonderful opportunity to learn more about and share my experiences with the wider U3A. I am 69, married with two children and five grandchildren. In my career I worked in IT, project management and finally as an Account Director in the defence industry building customer relationships and managing multi-million pound contracts. Since retiring, as well as my U3A activities, for eight years I have been the chair of Salisbury Trust for the Homeless, a charity that helps over 60 people every year who have become homeless return to independent living. I also had a period as a trustee of Wessex Community Action, a charity that provides support to community and voluntary groups. I lead two U3A groups and attend five. I participate in Bath and Wiltshire Network meetings. Sarum U3A has around 450 members, we run 67 interest groups with a broad spread of educational, creative and leisure subjects. Our membership is 70% female and 30% male. In order to try to improve that imbalance, last year, amongst other things, we started a group specifically for men called Boys Days Out (Girls also invited). It is very successful. During my time at Sarum U3A our membership has increased by 50%. We have introduced ID badges, Shared learning Projects, visits, study days, on-line courses from Griffiths University, awareness events (with the other two U3As in Salisbury), a new website, wine holidays and Age UK representation at monthly meetings. Our finances are well managed, our annual subscription having remained at £11 for at least ten years, with no extra charge for our monthly meetings. We have a regularly updated website and Facebook page. Our monthly newsletter is lively and informative. We are outward looking, having engaged with local care homes, holding some groups in their premises and having invited them as guests to our monthly meetings. We have a forthcoming slot on local radio to further raise awareness of the U3A movement. We are signed up to MYU3A and U3A Signpost. I would bring the following to the Regional Trustee role: energy, enthusiasm, exciting ideas, a caring for people, leadership, strategy planning, financial management, presentational skills, policy development experience and a successful track record chairing Sarum U3A. I would encourage U3As to: cooperate closely with their neighbouring groups; bring their committees together for ideas sharing; run workshops and study days, run media campaigns to spread awareness of the movement; and so much more.